Learning about ice skating basics in the Lake Winnipesaukee area of New Hampshire doesn't start with fancy jumps or spins. You need to start off at a beginner ice skating level. This is where you need to relax and breathe deeply. First, let's learn about your skate blades. There are three edges; inside, outside and flat. The inside edge is the side that's closest to your big toe and runs the entire length of the blade. If you angle your toes towards each other, as in a pigeon-toe effect, you will be on your inside edge. The outside edge is the side closest to your small toe and runs the length of the blade. If you point your feet outwards, like a penguin, you will be on your outside edge. The flat isn't really an edge but the bottom of the blade. It's the entire center part of the blade. When you stand, you will be on the flat part of the blade. When you're skating in the Lake Winnipesaukee area of New Hampshire, you'll want to get a good handle on what to do. You might be on a pond or on one of the ice skating rinks where you can practice some of the ice skating basics. To start off, you need to have your feet at hip distance apart and both of your blades facing forward. 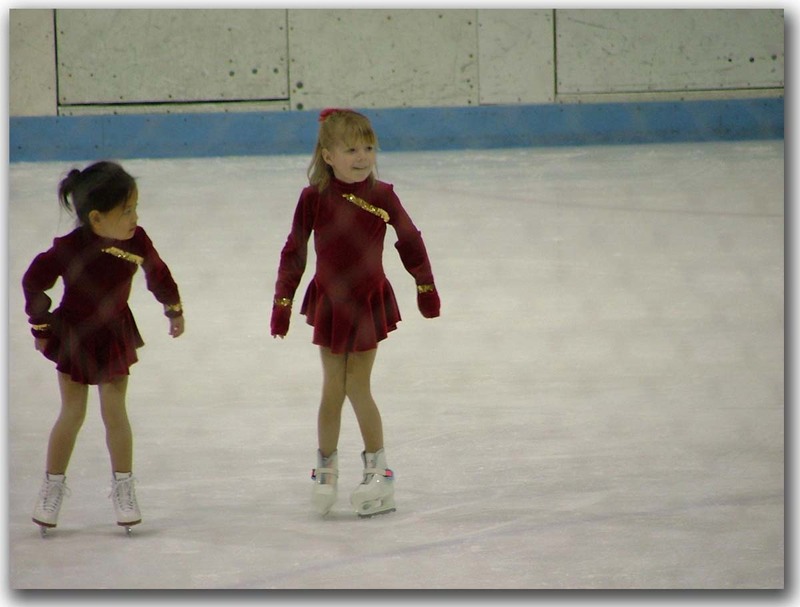 Usually the first step in ice skating basics is learning how to move forward and swizzles. The first step is to march in place. While standing, lift one foot up and then the other. Keep your arms out for balance. Next, take small baby steps, rest and then glide on two feet. Again, keep your arms out for balance. The next step is gliding on one foot. Hold your arms out for balance and lift one foot. It may take a few tries before you feel comfortable. Once you've mastered one foot, try the other. Then alternate feet over and over. You can rest in between on both feet. To do the forward swizzle, hold your arms out to the side for balance. If you're in an ice skating rink in the, you might want to be close to the wall. Turn your toes inwards, pigeon-toe, towards each other. Bend your knees and allow your feet to move outwards, penguin style. Repeat. Each time bending your knees! After practicing this move and feeling confident, you will need to work on your posture. Make sure your back is straight, shoulders are down and your chin is up. Once you feel comfortable with these moves, you can practice gliding. Do not use the toe pick to push off. 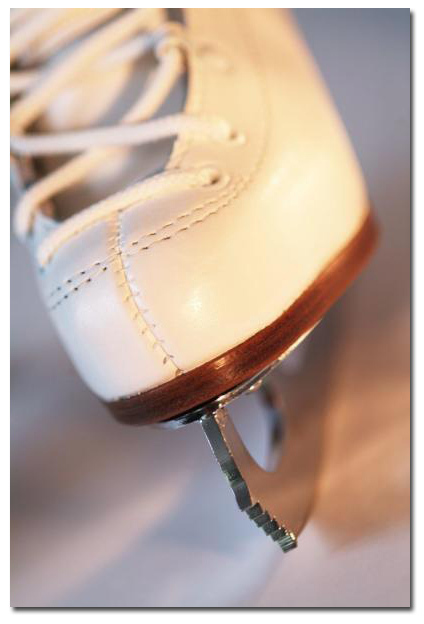 The entire blade is used to move the skate. This will take some practice. 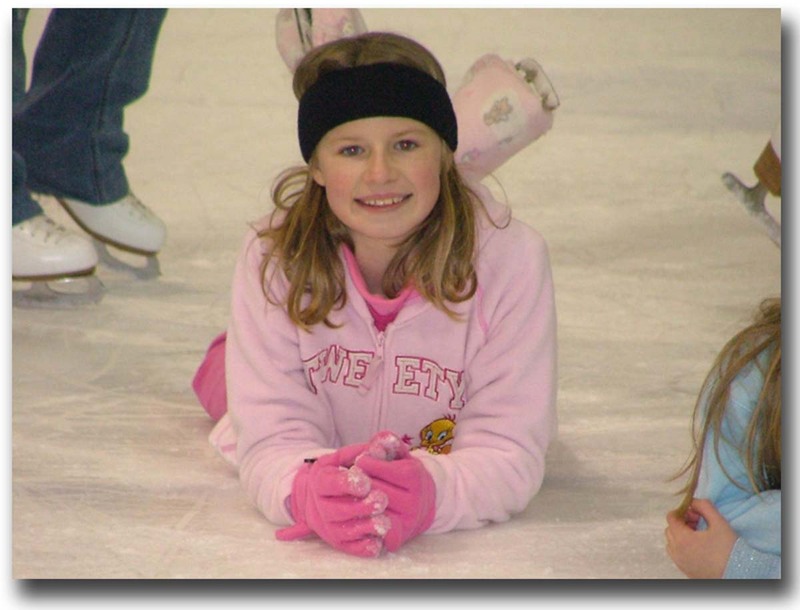 These ice skating basics should help you get started while skating in the Lake Winnipesaukee area of New Hampshire or anywhere else for that matter. If you want to learn more and feel very comfortable on the ice, you should look into beginner ice skating lessons. 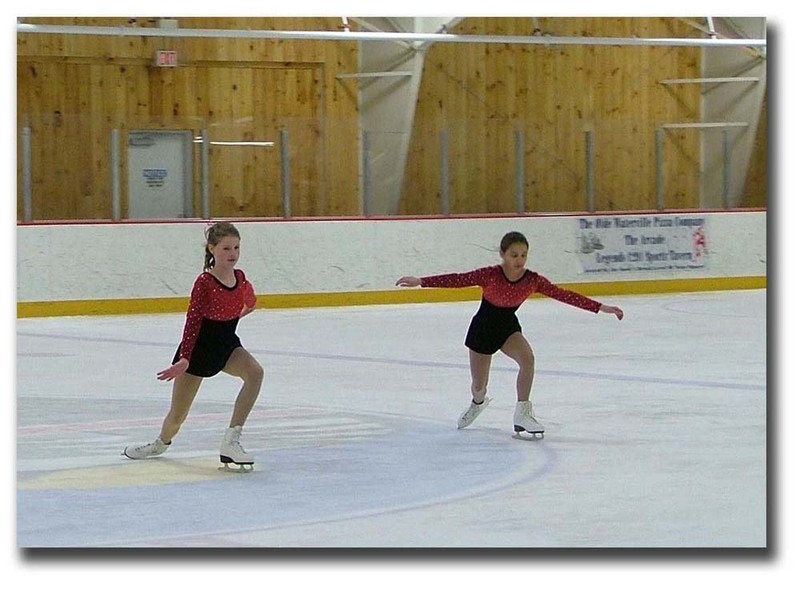 As I recall, these were the two moves I learned first and they really helped me become more comfortable on the ice. If you've been skating awhile in and around the Lake Winnipesaukee region of New Hampshire, you might be ready to learn about the many ice skating moves. Even if they're beyond your capability, you can still learn what they are so you have a better understanding when you're watching competitions such as the Olympics.